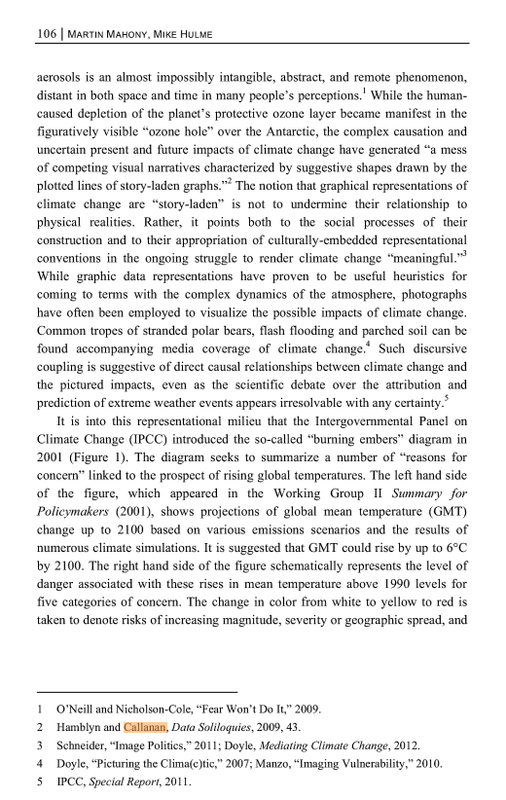 Scientific research on climate change has given rise to a variety of images picturing climate change. These range from colorful expert graphics, model visualizations, photographs of extreme weather events like floods, droughts or melting ice, symbols like polar bears, to animated and interactive visualizations. Climate change graphics have not only increased knowledge about the subject, they have begun to influence popular awareness of global weather events. The status of climate pictures today is particularly crucial, as global climate change as a long-term process cannot be seen. When images are widely distributed, they are able to shape how the world is thought about and seen. It is this implicit basic assumption of the power of images to influence reality that this book addresses: today’s images might become the blueprint for tomorrow’s realities. 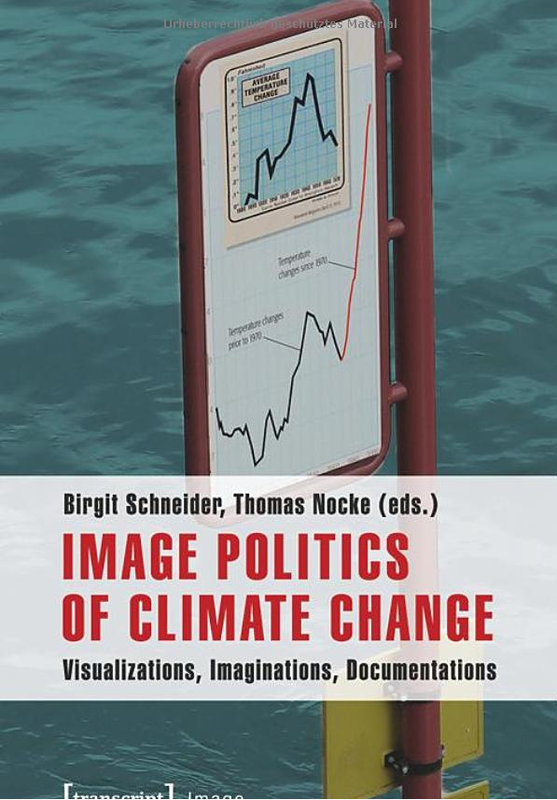 “Image Politics of Climate Change” combines a wide interdisciplinary range of perspectives and questions, treated here in sixteen interdisciplinary case studies. 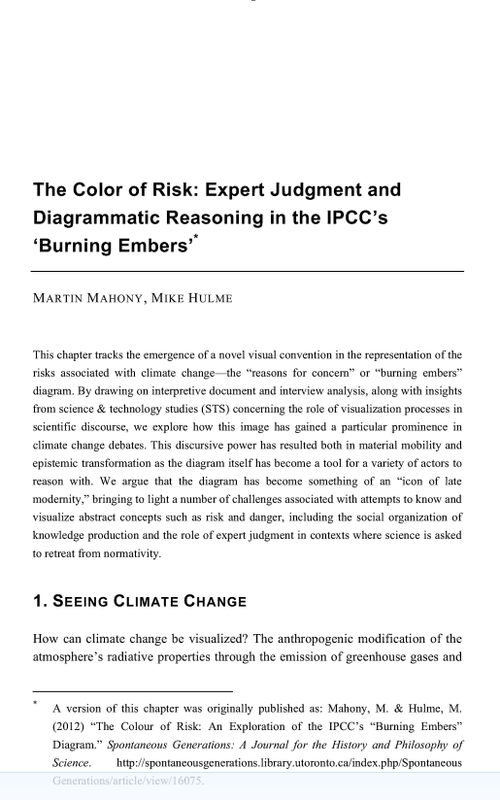 The author’s specializations include both visual practice and theory: in the fields of climate sciences, computer graphics, art, curating, art history and visual studies, communication and cultural science, environmental and science & technology studies. The close interlinking of these viewpoints promotes in-depth insights into issues of production and analysis of climate visualization.